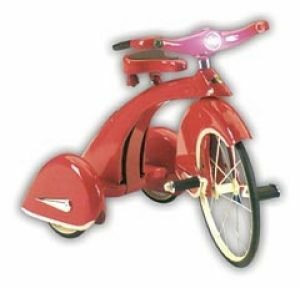 The Sky Tricycle is an impressive toy sure to delight children. Your choice of historic pink or red design with chrome detailing and vintage accessories is only the beginning. The attention to minute detail is evident in the many features and will keep kids focused and entertained for hours. Children will be delighted with the working headlight and fun tassels!